scornfully accuses residents of Goring of NIMBYism, a general dislike of railways, and living in the past. 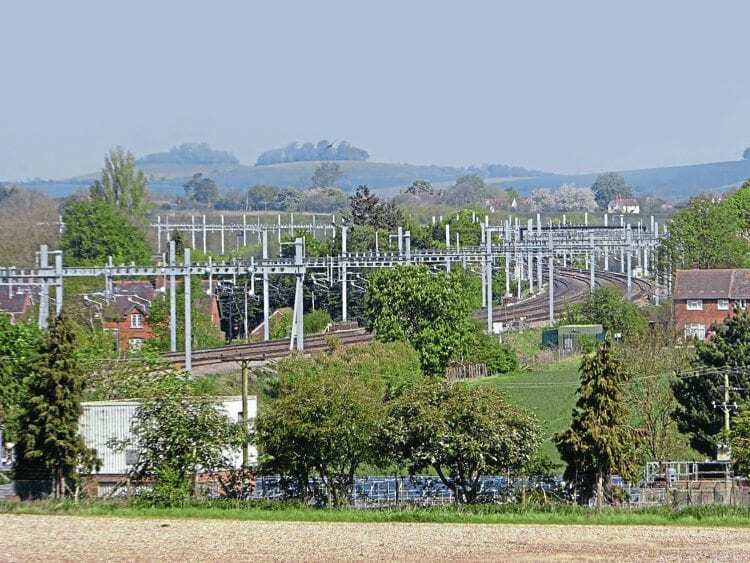 The ‘intrusive and over-engineered’ electrification masts at Goring. I am a proud part of a group that is challenging Network Rail’s electrification programme in the Goring Gap, which we fervently believe is fully justified on the grounds that the metal gantries are over-engineered, unnecessarily ugly and inappropriate for the protected landscape of two Areas of Outstanding Natural Beauty (AONB), which the track passes through. Did Lord Berkeley do any basic research to underpin his accusations? 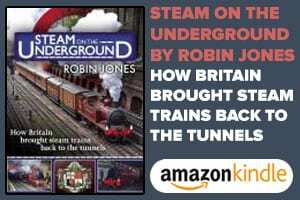 He may be surprised to learn that the group set up to represent Goring residents and other communities along this stretch of track are in fact firm supporters of the electrification and modernisation of the railways. The issue is about how Network Rail is carrying out the electrification programme, not why. This is not just a local issue for Goring, as Lord Berkeley alleges. The incongruous electrification infrastructure adversely affects a stretch of almost 15miles that lies within two AONB from Purley-on-Thames, just west of Reading, to North and South Moreton, just east of Didcot. As much of the track is clearly visible from the surrounding hills, and because some of the track is elevated on embankments, it makes the visual intrusiveness much worse. Clearly the residents closest to the track are most severely affected, but the claim of NIMBYism needs to be seen in this larger context and the fact that up to 10 million people can access the two AONBs and many travel here to enjoy the beautiful scenery and inspiring views of the Goring Gap. All of these people, residents and visitors alike, will be affected by the electrification works and damage to the environment, not just a few people in Goring. AONBs are protected by legislation and statutory and public bodies, such as Network Rail, are required to abide by these laws when carrying out any work within them. Section 85 of the Countryside and Rights of Way Act clearly states that companies such as Network Rail should have regard to conserving or enhancing the natural beauty of AONBs: Network Rail has subsequently recognised that it failed to adhere to this legislation in carrying out its electrification programme. As a result of our intervention, NR is working towards remedial action and has recently commissioned new designs for more appropriate Overhead Line Equipment along with a belated public consultation exercise with the intention ‘to retrofit the whole AONB section with a less intrusive electrification design. This unwarranted criticism from Lord Berkeley, which seems to ignore the campaign group’s support for electrification, the impact on people far beyond the Goring area, the legislation protecting AONBs and the steps Network Rail has taken to remedy its shortcomings, appears to be misguided at best and cynical at worst. It is clear that others in responsible positions do not share his blinkered view, with questions regarding the adverse visual impact on the AONBs being asked in the House of Commons by John Howell (MP for Henley) and Ed Vaizey (MP for Didcot and Wantage). 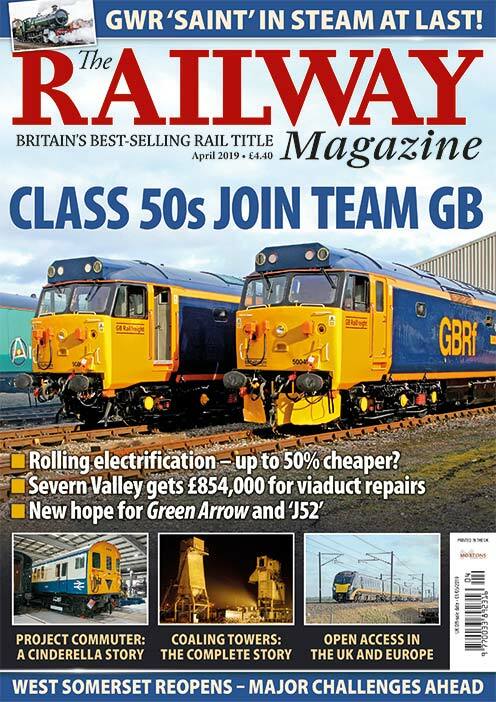 Read more letters, news, opinion and features in the March issue of The RM – out now! 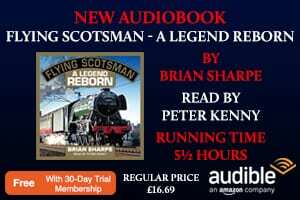 Previous Post:RIDE WITH THE RM – Double-headed Class 50s to Glasgow! Next Post:‘Very Light Trains’ by 2019 for new low-cost passenger services in north-east England?